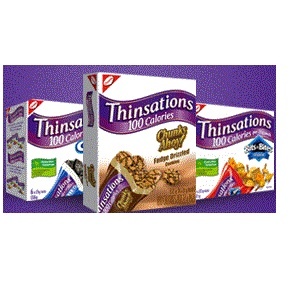 On Checkout 51’s list this week (Sept 12-18, 2013) is Thinsations, buy any 2 Thinsations products, Excludes single serving 22 -28 g size, Items must appear on the same receipt.. The new Thinsations Fudge Dipped Bar has it all; a chewy and chocolately crisped rice centre, topped by a whipped nougat layer, then surrounded by a smooth, sweet fudge coating! You will get $1.00 cashback rebate at Checkout 51. Here’s a pic of what it looks like. I found a couple prices of it at a few stores. Checkout51 offer expires midnight Wednesday Sept 18, 2013. You must purchase in Canada and upload your receipt between midnight Thurs Sept 12-18, 2013 to qualify for the cash back rebate. Check out here for more Checkout 51 cash rebates for this week.